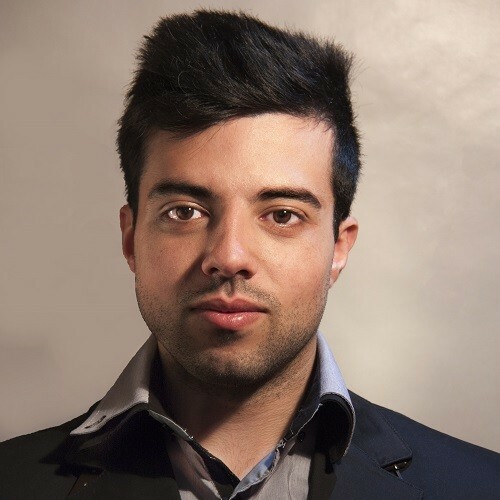 Co-Founder and CTO at AnotheReality, Fabio Mosca is a Virtual Reality designer, videogame programmer and engineer. With a Bachelor’s Degree in CS engineering, Fabio focused his studies on videogame programming and interactive media, leading to his first VR experiences in 2014. After years of experiments, research and works in VR, he released Yon Paradox (2016), a VR videogame about time paradoxes, and co-founded AnotheReality, focusing on VR location based entertainment and training simulators for Industry 4.0. Also founder of the VR Milan Meetup, better known as "AperitiVR".